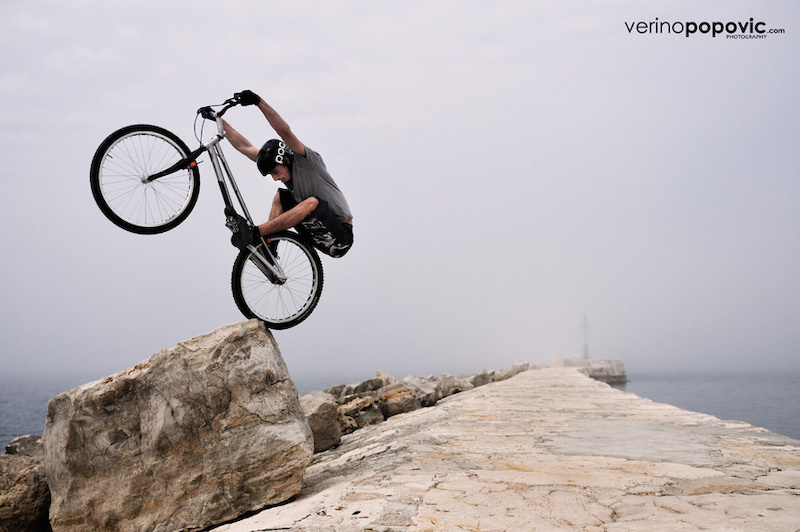 Matija and his photographer Verino showed up in my hometown for a trials session some day in April. The weather was very weird: ranging from foggy to windy to a summer sun. All in all, the session was great and this is the belated video of it. Thanks to POC Croatia, Protea Jaska and Biketrial.si for helping out Matija. Read below for some photos from that session and a demo show, a 5 minute video and a short interview with the rider. Sponsors: proteajaska, POC, biketrial.si, my parents. What's your favorite bike-related memory? Definitely meeting people at competitions and rides. I love riding more than anything, but when it comes to road trips it is all about meeting new people and seeing new places. Because of this sport I have friends all around the World. 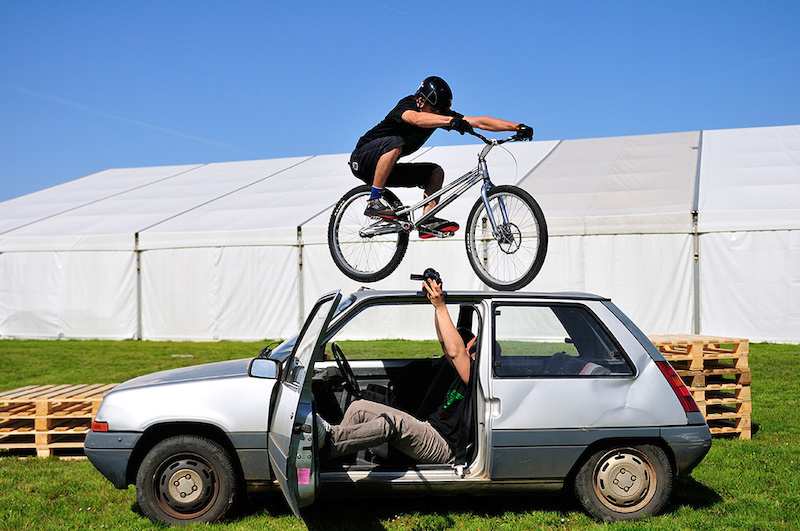 How did you start riding trials? I guess living in a city and a country with a non-existant scene didn't help (even though there was a big street-trials wave in Zagreb back in the day). Well, I started to ride my bike seriously at the age of 15. I was just a kid that wanted to ride something on two wheels, so my parents bought me my first "real" bike and, as I live near a forest, I immediately went for a ride. I started to ride XC (Cross country), as it was popular at that time in Karlovac. Maybe you didn't know, but I have even competed in one triathlon competition and ended up second. Later on I started to be more interested in faster disciplines, so I rode DH for a short time. After that I became more and more interested in street riding. 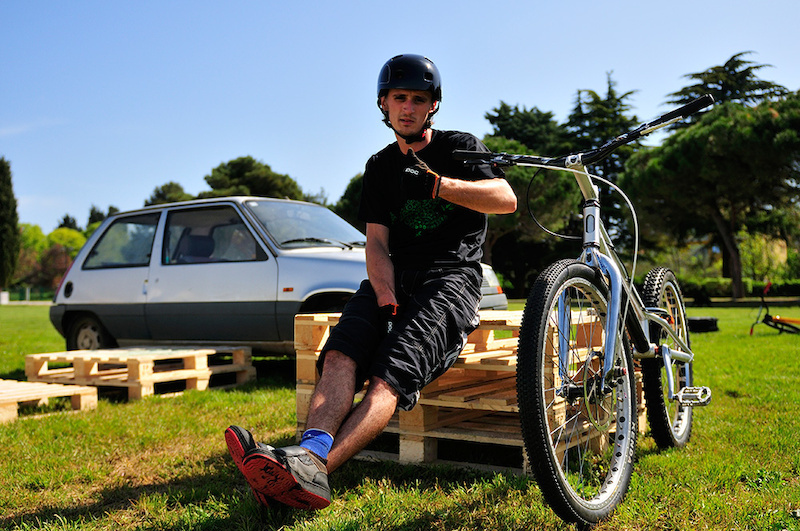 As you said, back in the day, the street-trials wave was all around the country and thanks to guys like Tomislav Može, Luka Travaš, Tomislav Žigic, Arpad Nađ and many others I discovered trials. I found myself in that discipline and have never looked back. I remember how I begged my parents to drive me to Zagreb so I could ride with the other guys. Those were great memories! In the last few years, parallel to trials riding, I tried riding dirt jumps from time to time. If I had more free time, I would definitely ride dirt more often - it is fun. 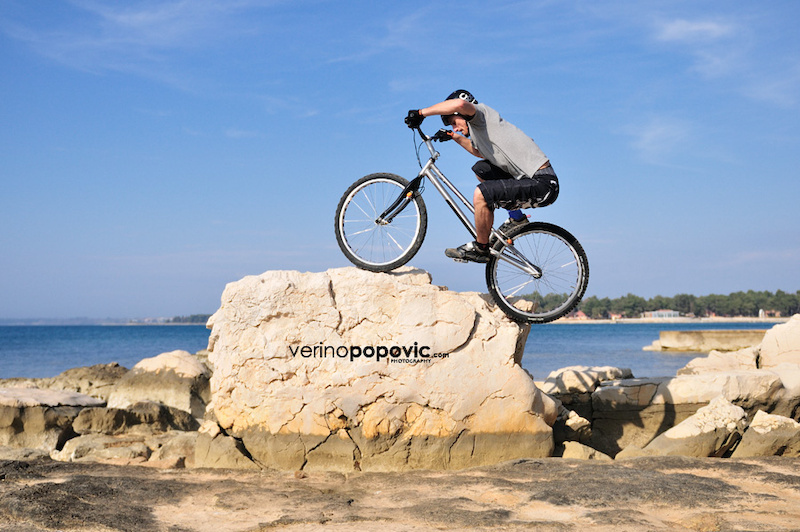 3 What do you think about the riders in the Croatian/Slovenian trials scene that used to ride and then quit? 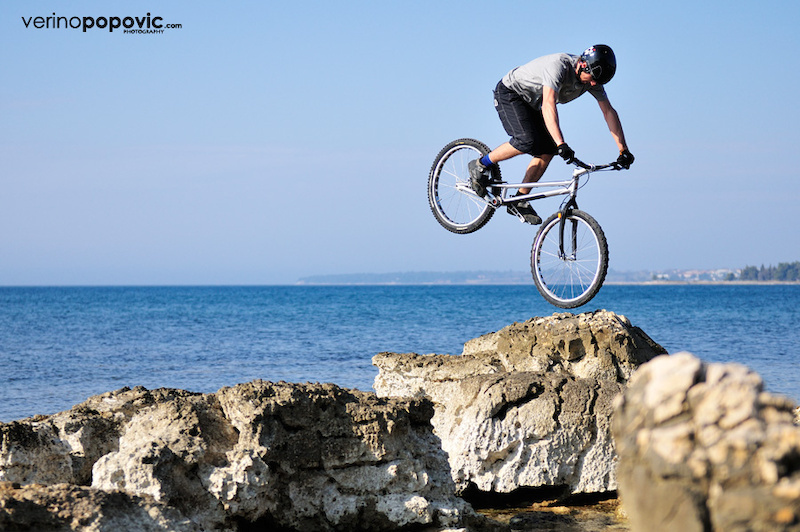 What about the new guys that start riding after watching mostly videos of Danny Macaskill? Trials is specific. When you start to ride you will learn all the basics really quickly, but then you will start to work on your technique and the height of your moves and that fact mostly demoralizes new riders from learning trials. 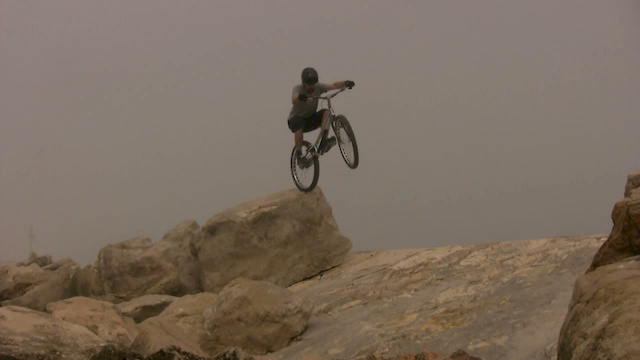 Trials is really hard, it is technically one of the most demanding disciplines. Nowadays Danny Mac is really popular and from time to time I meet new kids that think that if they buy a bike like Danny's, they will ride like him; but they end up disappointed. When I started riding trials, you could find pictures of trials riders on the DBK forums on a daily basis. Now they are rare. I hope that the situation will change; at the moment there are plenty of young riders in our country and in Slovenia and that makes me happy. I have stayed in contact and in a good relationship with a lot of the "old guard" trials riders and it is great when some of them started to ride again recently. Barcelona is the place to be for any BMX street rider: is there any such thing as a Mecca for trialists? Barcelona is a really popular place with trials riders as well. 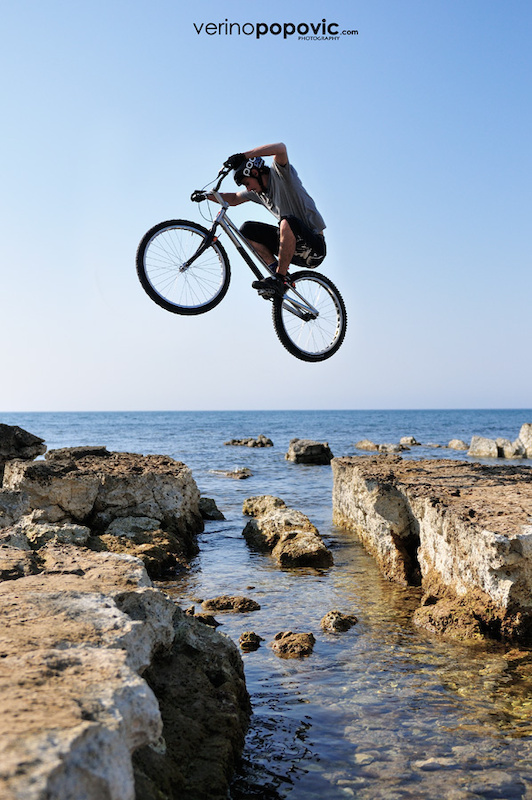 It has a great natural coast for trials riding. But heaven for any trials rider is Buthiers, a forest in France. It is a forest full of rounded rocks of all sizes. 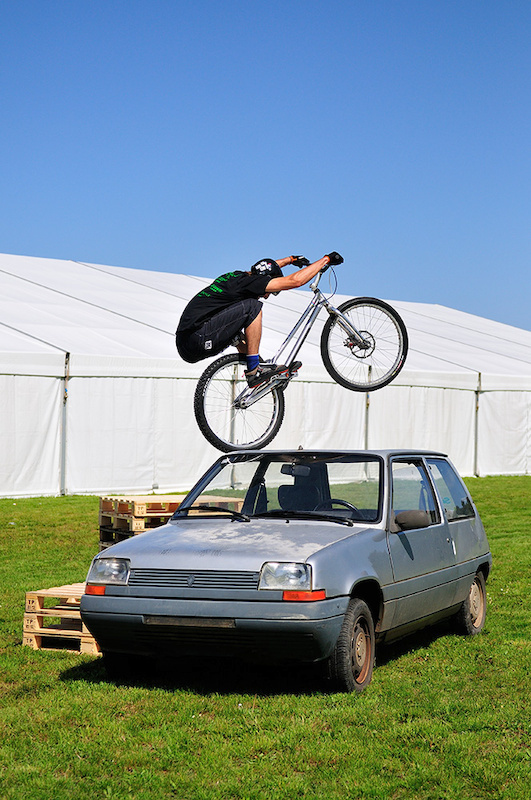 Some of the biggest trials competitions were held there through the past few years. My dream is to visit that place and ride it. You recently got a new sponsorship - want to talk about it? Yes, I am really proud to be fully sponsored by POC. It happened very quickly. Denis (from POC) contacted me and invited me for an interview. It was the fastest deal ever: it went something like this - "Hi, I represent POC in Croatia, do you have a deal with someone at the moment?". I said that I have a deal with Protea Jaska. "Great, we work with them. How would you like to be fully sponsored by POC?" and my answer was just a big smile. He explained that POC entered the Croatian and Slovenian market with their bike equipment and that they needed a rider to represent them and that they thought I was a great choice. As of now, I have done some demo shows for Protea Jaska and POC and they were happy. I think this is going to be a great friendship and opportunity. Also, I am working on some photos for them with my friend Verino, so I think they will be happy. I have to admit that it is a great feeling to be close to a company as POC. I can try their armour, helmets, gloves, etc and choose which one suits me best. I have never been in a situation like this before. In ten years? Uh, it is a loooong time. 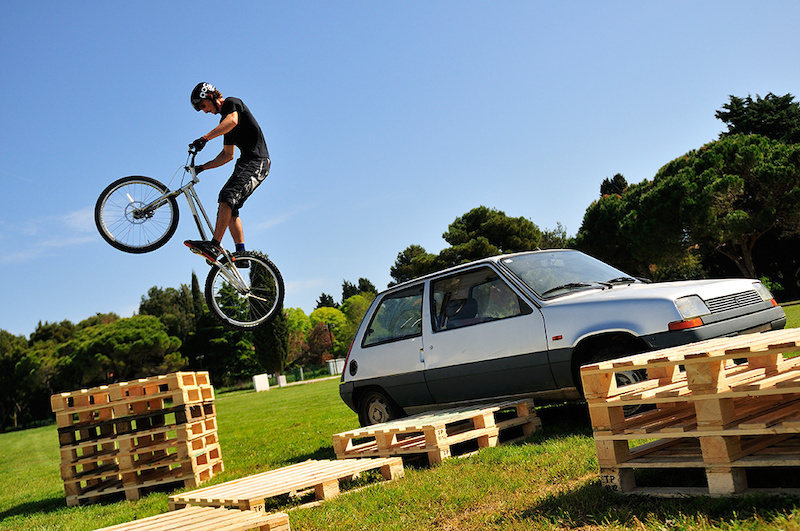 Maybe in my backyard, at my personal trials park, teaching my kid how to ride trials hahaha. I cannot believe I said that. Seriously, I will stay in the bike world for sure. I can see you are not familiar with our customs. You can't ask a guy from Karlovac to choose only one favorite river. We can't answer that! Hope you guys liked this article. Feel free to visit my blog for more BMX/MTB related stuff. always great to see trials on pinkbike!